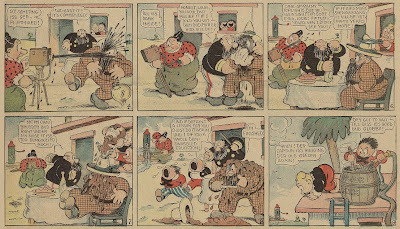 A few months back a book was published on a classic strip maker that may have escaped the notice of most English language readers. 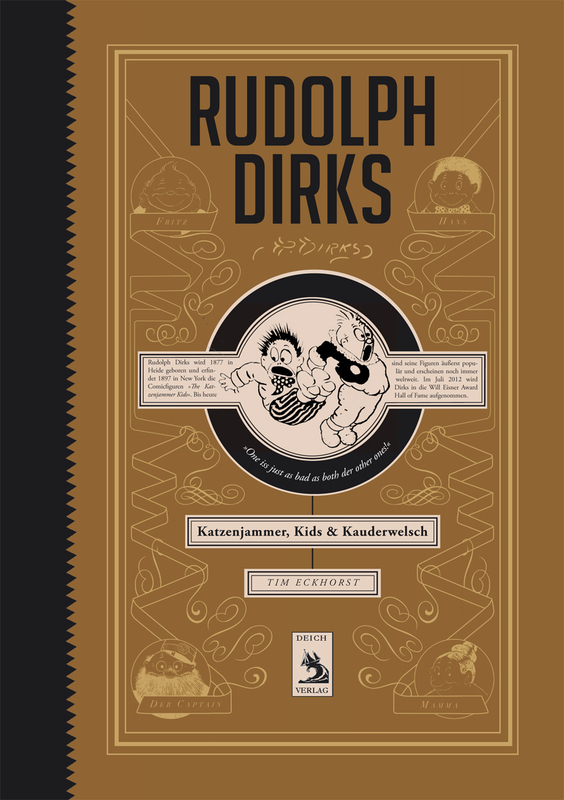 The book is written by young Tim Eckhorst and published by Deich Verlag in Germany. 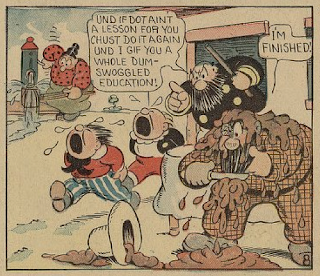 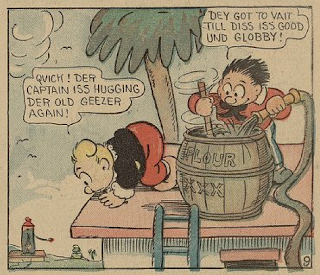 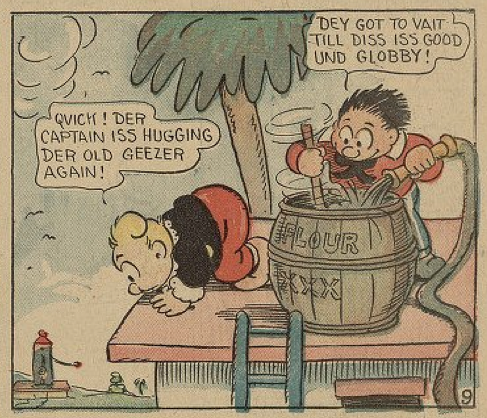 The word ‘Kauderwelsch’ in its title – ‘Rudolph Dirks; Katzenjammer, Kids & Kauderwelsch’ – translates to ‘bafflegab’. Tim Eckhorst was born in the same small town as Rudolph Dirks in Heide, Germany. 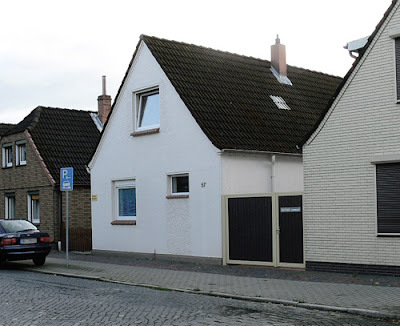 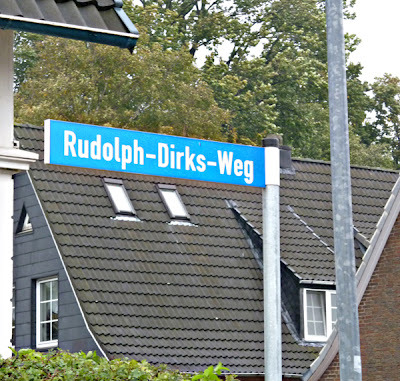 The house where Gus and Rudolph Dirks were born is still standing and a street is named in his memory. 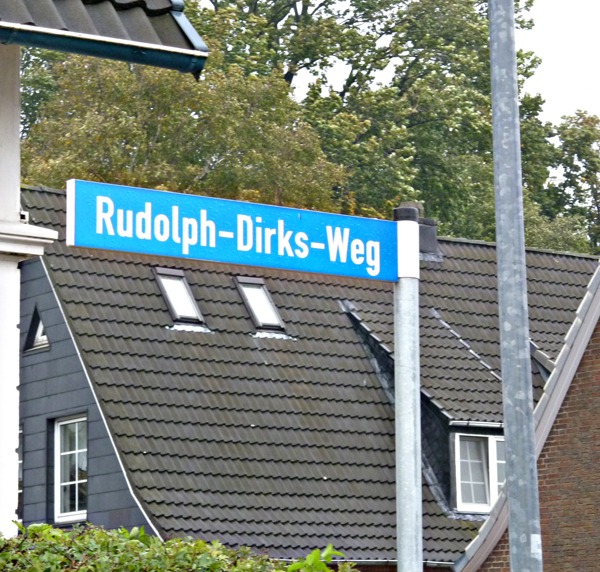 Brother John Dirks passed his entire collection on to the town of Heide. 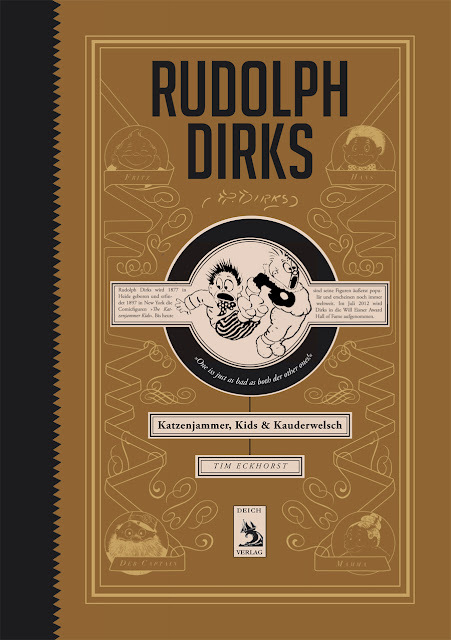 At the moment the book Rudolph Dirks; Katzenjammer, Kids & Kauderwelsch is only available in the original German language edition. 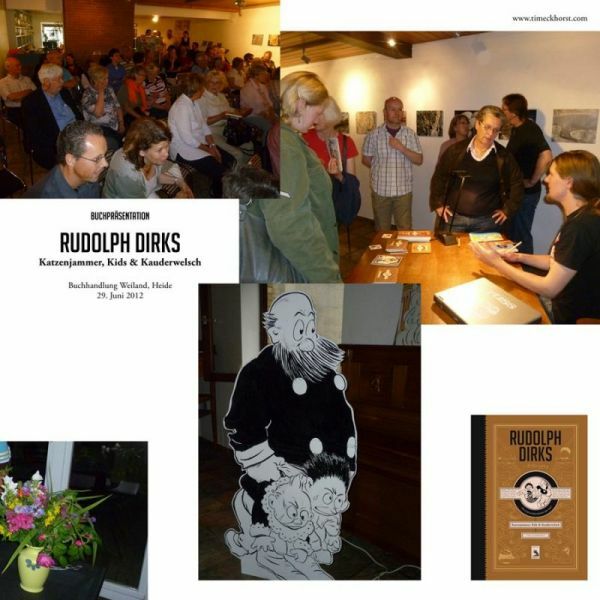 You can look inside the book HERE, see a trailer (with wonderful vintage film footage) HERE or order a copy HERE.